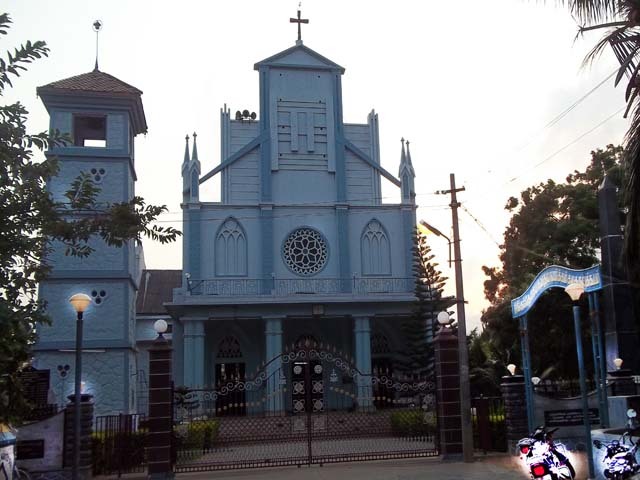 Mylaudy C S I Church is the first protestant church in Travancore, foundation stone was laid in May 1809 at Mylaudy, South Travancore, now at Kanyakumari and after four months’ continues struggle the small church was completed and dedicated in September 1809 by Rev.Ringeltaube. On that occasion, Rev.Ringeltaube baptized few and administered the Lord’s Supper to the Christians. 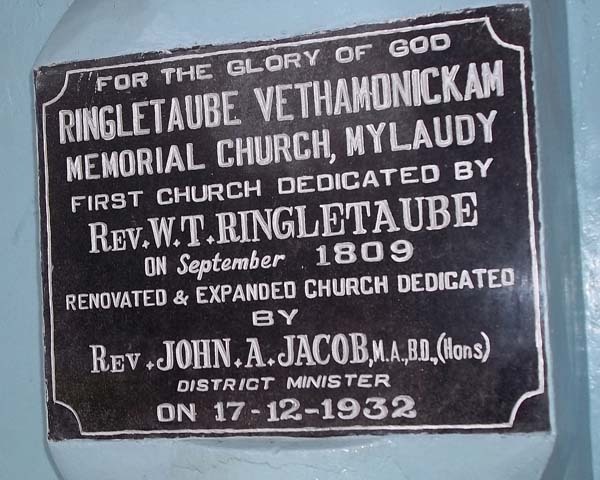 Rev.Ringeltaube, who was founder of the London Mission Society in Travancore left from Tirunelveli on 13th, April 1806 and arrived Mylaudy on 25th April 1806. 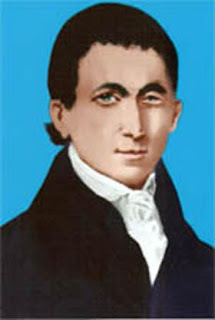 Just after another year, Rev.Ringeltaube again arrived Mylaudy on 1st March 1807 when he baptized 40 persons at Mylaudy who had been instructed and led to the truth by a catechist who had been left in charge of the work there and Rev.Ringeltaube requested Vedamanickam to build a small prayer house or chapel near his house. Vedamanikam was eager enough to build a church in Mylaudy, but the Diwan did not permit him to do so. Without giving up hope, he again met Colonel Macaulay and the Diwan with the help of Rev.Ringeltaube, since the permission to construct the church was delayed, he was forced to stay in Quilon for a few days when he was burdened to preach the word of God to the people of Quilon in Malayagam language. 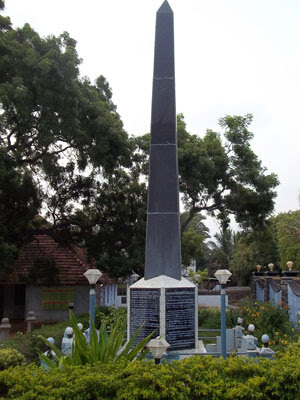 Meanwhile, Velu Thambi, the Diwan of Travancore joined hands with the Diwan of Cochin to fuel violence and commenced a war between British Company troops and the Travancore troops, lately the Travancore fell in the hand of British Company. Then Rev.Ringeltaube visits Mylaudy and started his mission. 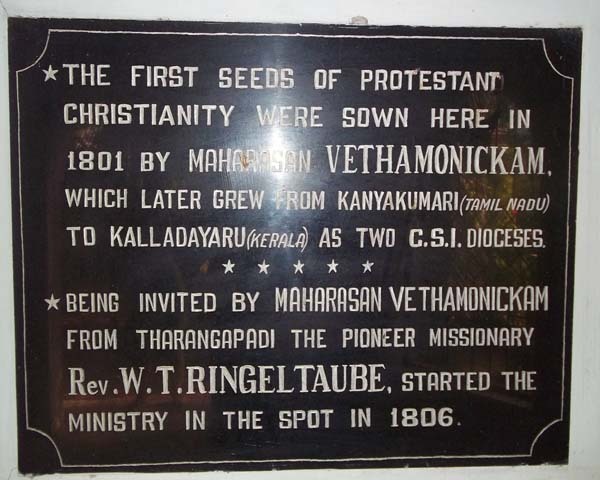 After immense efforts, the First Protestant Church in Travancore built at Mylaudy on September 1809 at the Vedamanickam’s land. Contiguous to the chapel, a small bungalow and L.M.S School were built at Mylaudy. 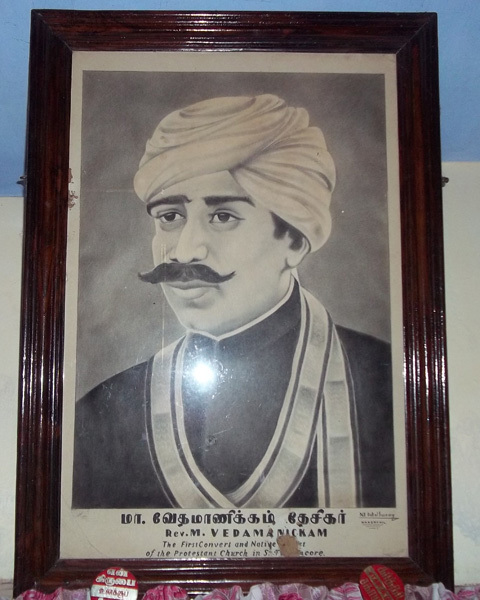 In January 1816, Maharasan Vedamanickam has received the virtue of the ordination at the hands of Rev.Ringeltaube. 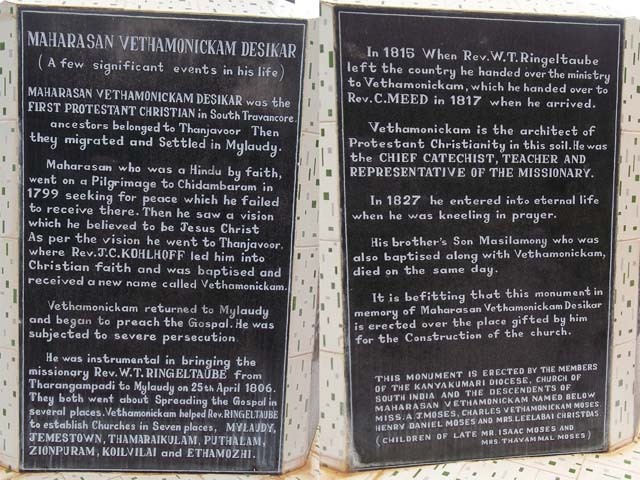 Rev.Vedamanickam, the first protestant Christian in Travancore, was the first catechist of that church. The Mylaudy C.S.I is under the control of Kaniyakumari C S I Diocese. 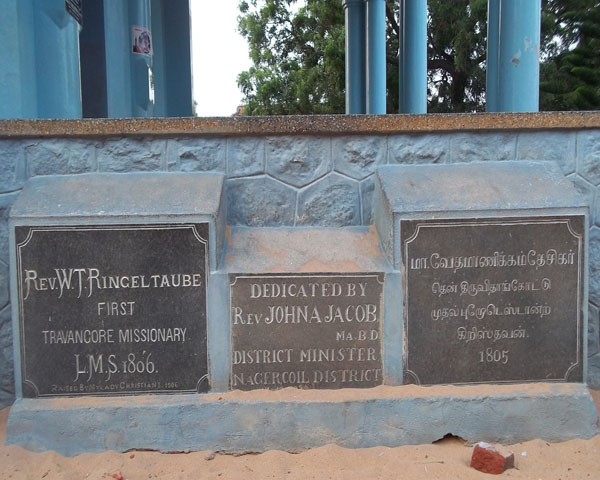 The renovated, expanded church was dedicated by Rev.John A.Jacub, District Minister on 17th December 1932. How come a Catechist is mentioned as an ordained REVEREND? Was Mr.Vedamanickam really ordained? Yes! sure he was. Read Church History of Travancore by C.M.Agur and Maharasan Vedamanickam Desikar by V.Joseph. Hi! Geo, you are doing good work. 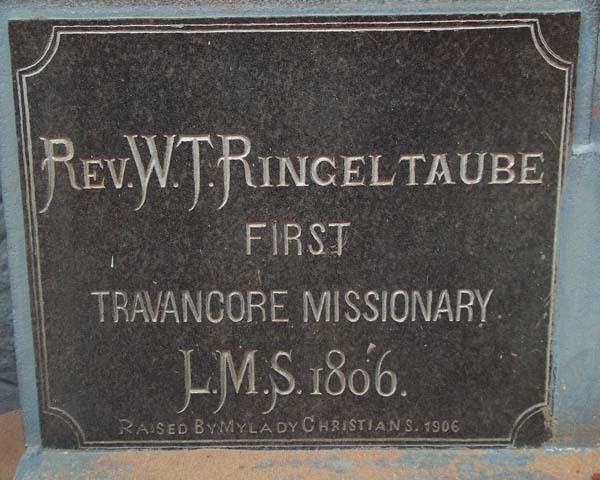 Please put the biography of Rev.Ringeltaube, Missionary of Travancore.